The journey isn’t over when your braces come off or when you finish up with your last set of Invisalign trays. 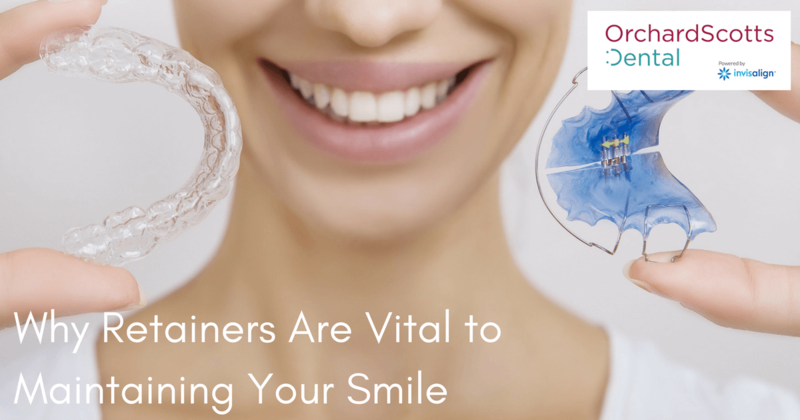 According to experts, a very important phase of the smile makeover process is still ahead. It’s the part where you faithfully wear a retainer at night for as long as it takes to ensure that your new smile becomes permanent. Find out more about retainers and why they are so key to the long-term health of your teeth. Your teeth are rooted in place, held secure by your jawbone, ligaments, and gums. It’s a good thing, or you would lose one or more teeth every time you took a bite of chewy or tough food. The fact that the teeth are firmly rooted in place also makes them difficult to move safely. Singapore dentists and orthodontists study for years to learn the proper techniques to gradually move your teeth, bit by tiny bit, into new positions. Move the teeth too fast, and you could lose them for good. That’s why orthodontia, done the right way, takes months or even a couple of years. Once you and your Singapore dentist finally achieve the right new positions for your teeth, there’s more work to be done. The teeth are not fully secure in their new positions. Left to themselves, they will gradually move back to where they originally were. The months of discomfort and effort would all be for nothing! That’s a result that neither you nor your dentist wants. A retainer is a device that holds your teeth in place in the new positions until they become fully rooted and secure in their current spots. It prevents the slow drift back to your original smile, protecting your investment. A dentist in Singapore may recommend one of two different types of retainers. Some retainers are permanent; they fit snugly against the back of the teeth, and they are not removable. They are harder to clean, but at the same time, they provide extra security against the movement of the teeth. Eventually, a child or teen may grow into adulthood and decide to have the retainer removed by another dentist; but in the meantime, it has done its job of preventing tooth movement. A second type of retainer is removable. This type is more familiar, and usually looks very much like an Invisalign clear aligner. It fits tightly over the teeth, and you wear it only at night. Commitment is key with this type of retainer; you must remember it and choose to wear it nightly for as long as your dentist recommends. Perhaps you’ve completed your smile makeover already, or maybe you’d like to start the correction process for your teeth. As a top dental clinic in Singapore, Orchard Scotts Dental can help you with starting your smile makeover or preserving it. We also offer services such as whitening, laser gum reshaping, dental implants, and veneers. Call today to set up your appointment with our care team.